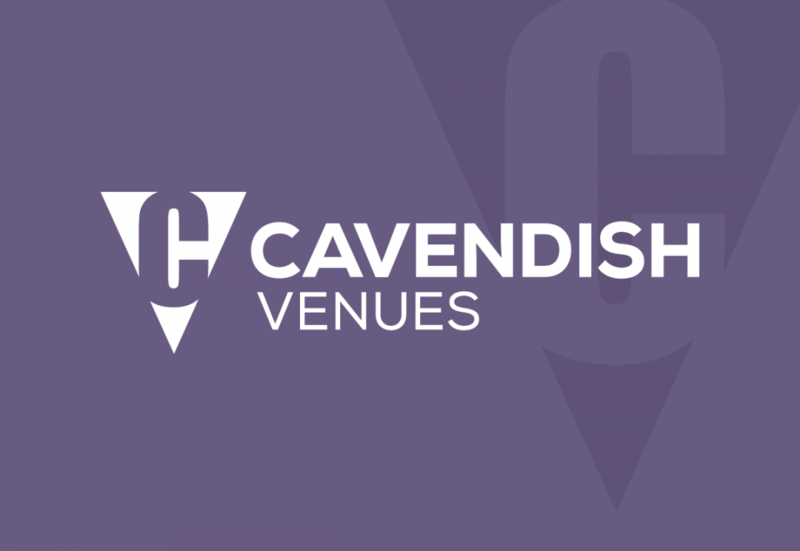 Cavendish Venues is London’s leading independent conference group with an impressive portfolio of 7 award-winning venues. 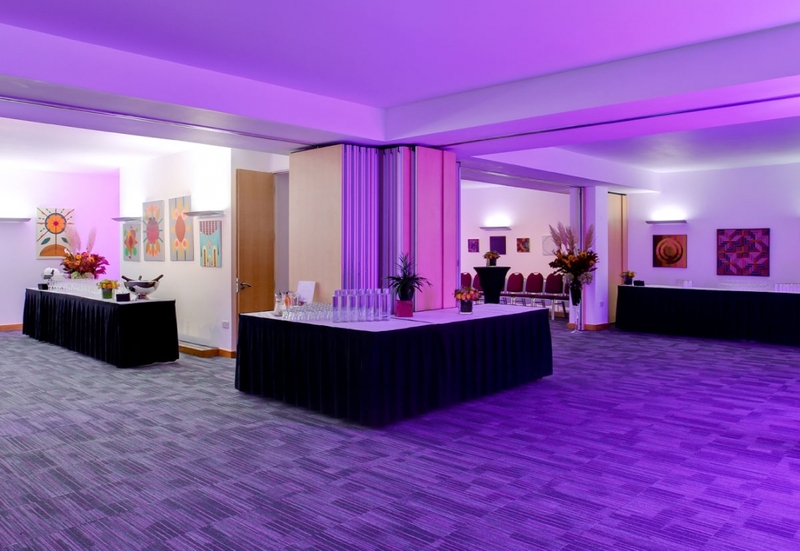 Every year they host more than 7,000 events for the likes of the BBC, International Red Cross and IBM and have built a reputation for providing great facilities twinned with outstanding service. 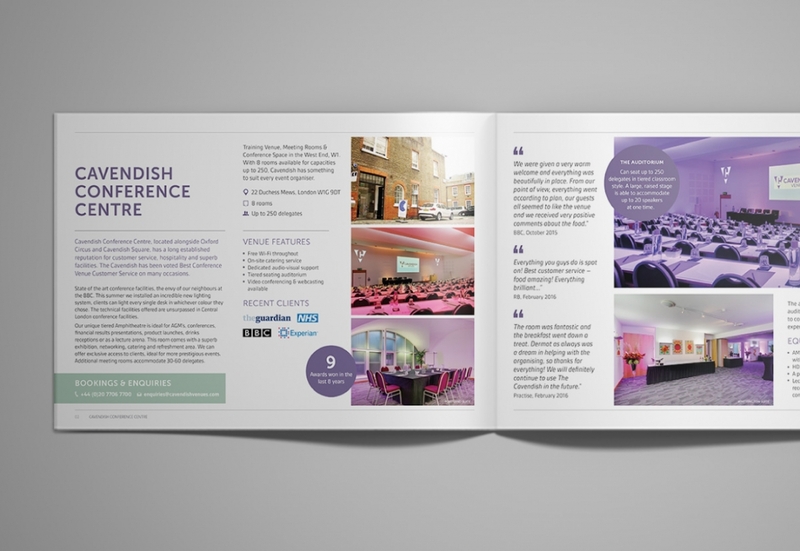 We have worked with them since 2011 to manage all their print and digital design needs. 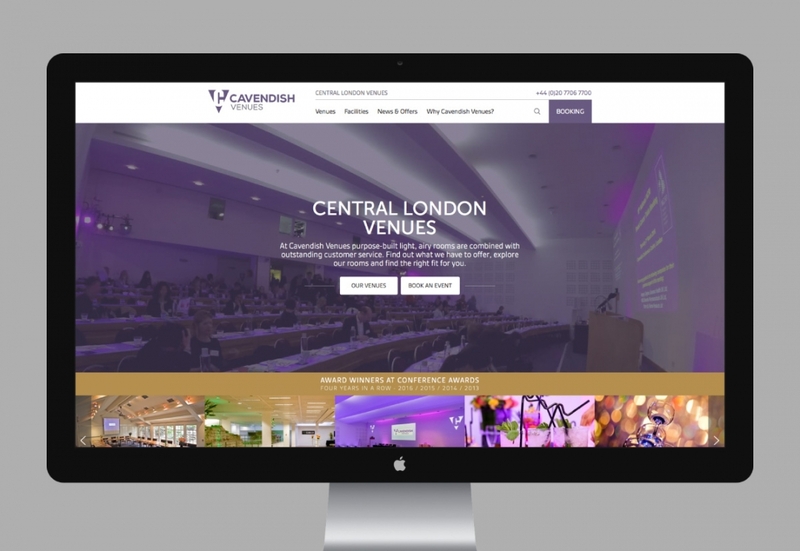 Most recently we embarked on a Responsive re-design of the Cavendish Venues website and a refresh to their branding to coincide with the refurbishment of their flagship conference centre. The fundamentals of their existing website, which we created for them back in 2012, were pretty sound and it was still performing well. 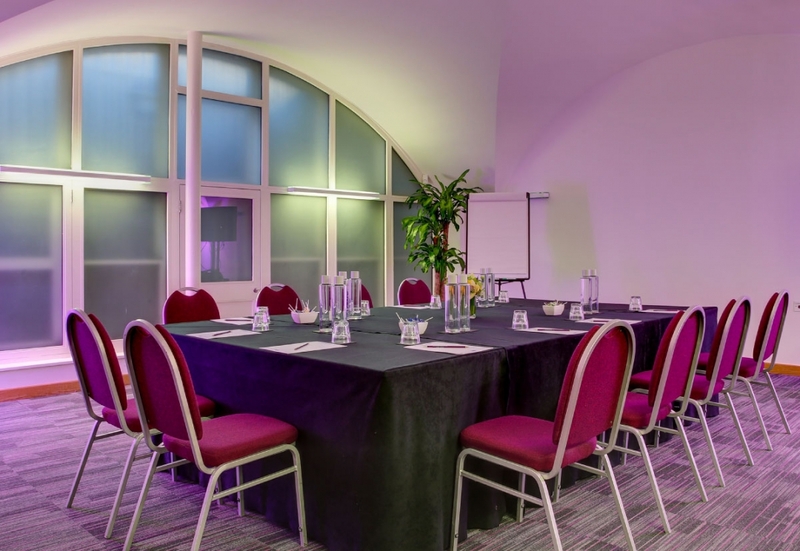 That allowed the focus of the project to be on finding all those little improvements that together really elevate the user experience. From the outset we knew that we wanted to achieve a design that would feel even more intuitive to visitors than the site it was replacing. By thinking carefully about the purpose of every page and the site’s key user interactions we were able to cut back any extraneous content or features to achieve a much more focused user experience. It is well understood that consistency can really aid usability. Reducing the number of variations in labelling or styling for a particular function helps more quickly build familiarity for our users and speed up their interactions with a site. Our style guide driven design approach, backed up by pro-active UI audits ensures this kind of consistency is maintained throughout design and development. Perhaps the most significant move forward in the evolution of the site was the introduction of a fully Responsive design. 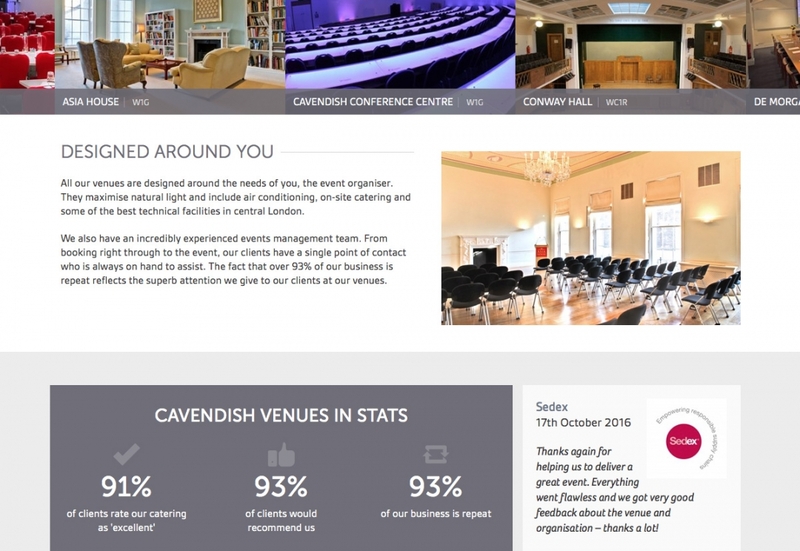 Although Cavendish Venues audience of event organisers are a predominantly desk-bound lot, like the web at large the site has seen a steady shift towards mobile. 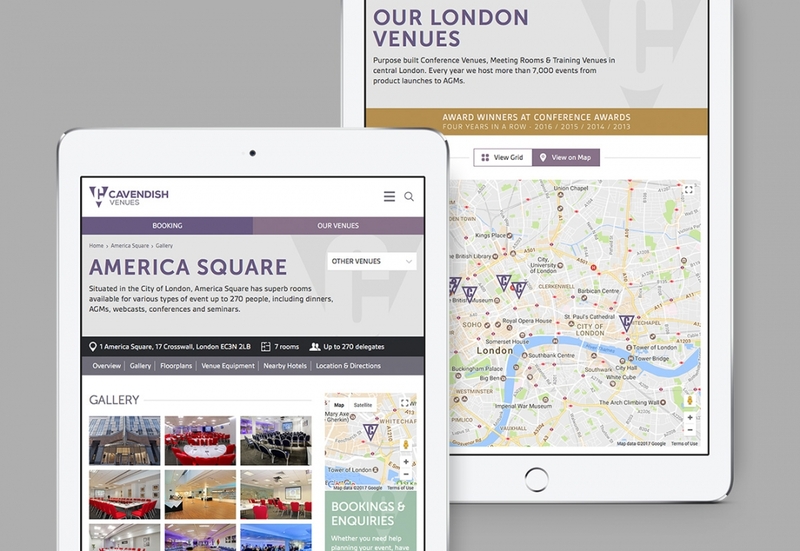 It’s no surprise that the venue map and directions pages are amongst the most popular for smartphone users, but we’ve learnt not to make assumptions about a visitor’s needs based purely on device type. 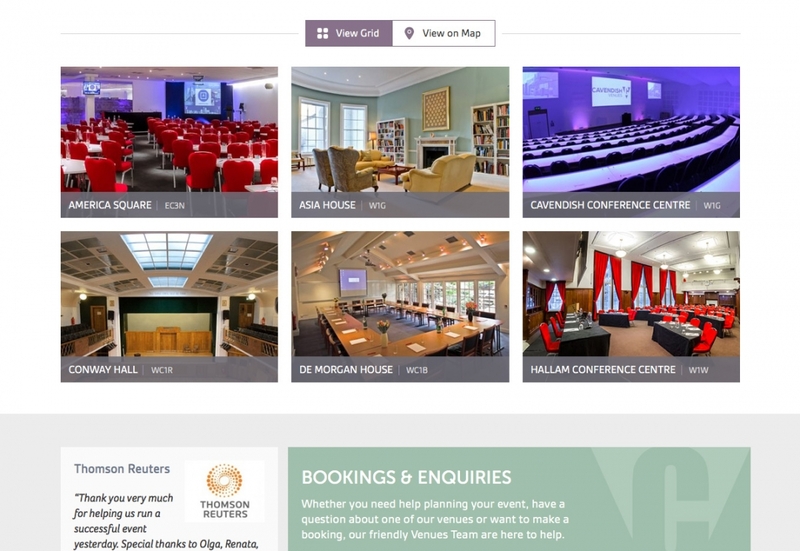 Not all mobile visitors are ‘on the go’. 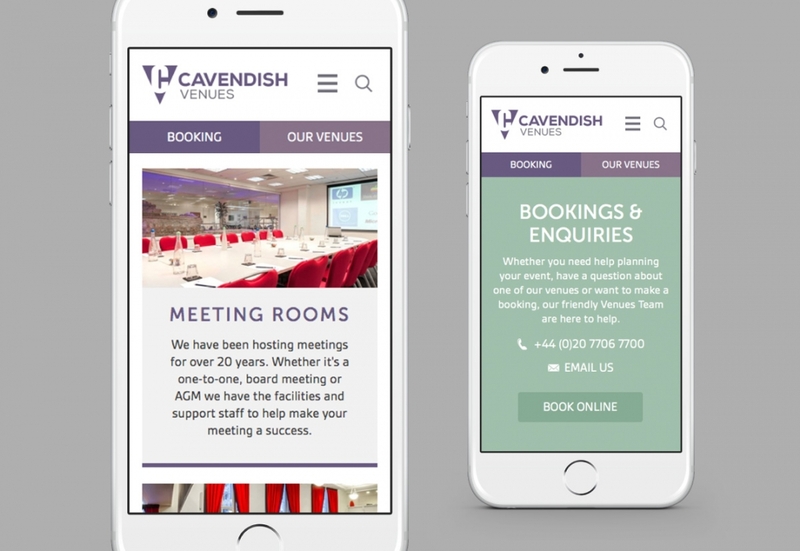 So in contrast to some of their competitors, who are offering very basic, separate mobile sites, Cavendish Venues gives smartphone and tablet visitors access to all the same content and functionality that is available on the desktop, but in a way that is optimised for those device types. 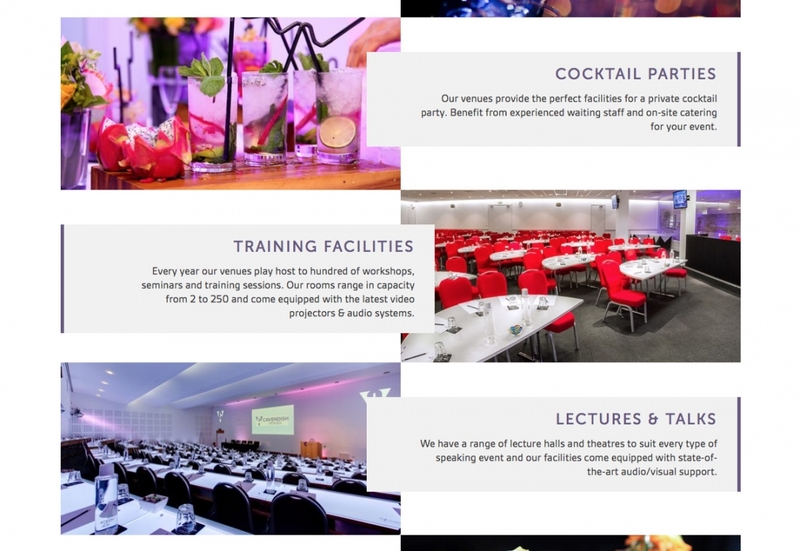 WordPress is a natural choice for a site like this, offering incredibly flexible content management with an easy learning curve. 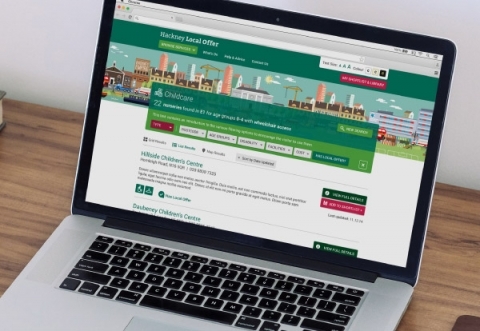 We always like to look at the day-to-day tasks a client will perform on a site and think about how the content management system can do the heavy lifting to make their lives easier. Being able to publish a piece of content once and have it automatically flow out and reformat through the site is a real time-saver. Also by setting intelligent defaults and auto-formatting we can save on the time needed to enter content in the first place. 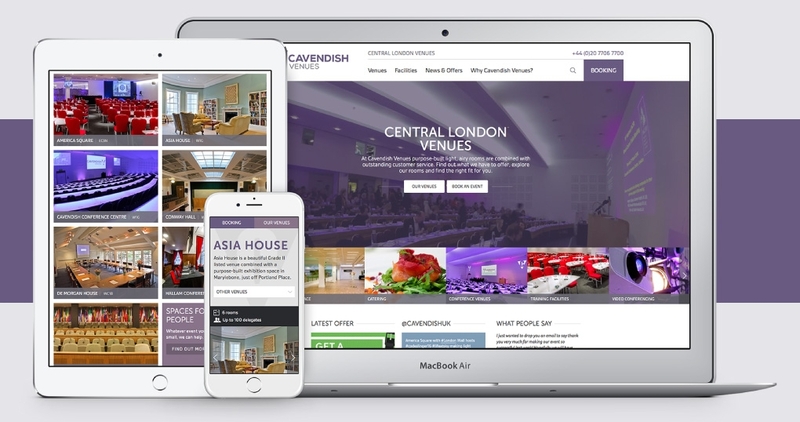 The modular approach we take to building sites brings a lot of flexibility when it comes to controlling content post-launch. Individual design elements can be brought together in any combination to create new page layouts that are still consistent with the style of the original design. Because the Pattern Library has been designed and tested to use in this way new combinations don’t require the kind of testing that would normally go with rolling out a new page layout. A simple Style Guide provides a useful reference to see all the design elements that are available and demonstrate their use. And the drag and drop editor makes experimenting with ideas for new pages a doddle, letting the team focus on content rather than code. 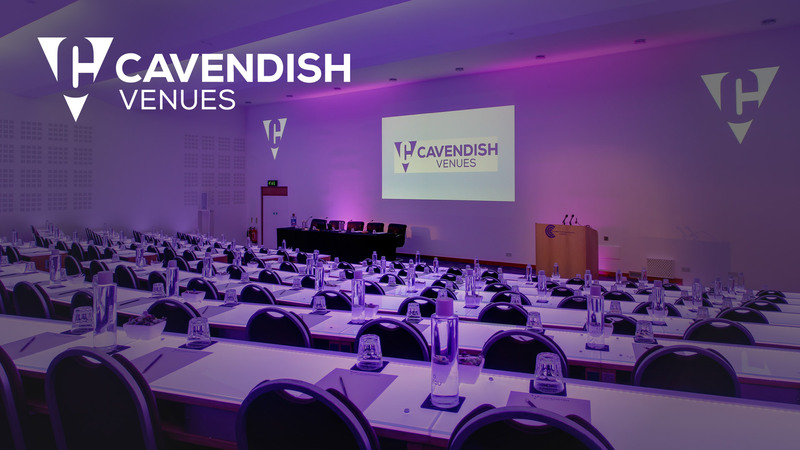 Cavendish Venues don’t just host conferences, they cater for a range of event types from meetings and seminars to product launches and banquets. 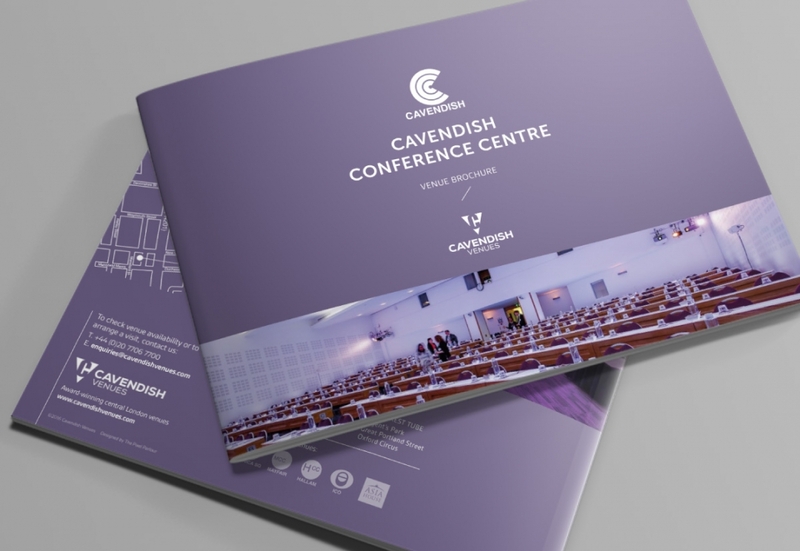 Understandably there was the feeling that the original Cavendish Conference Venues name might be limiting their market. The new logo and wider branding we have designed for them is very much an evolution and refinement of what went before. 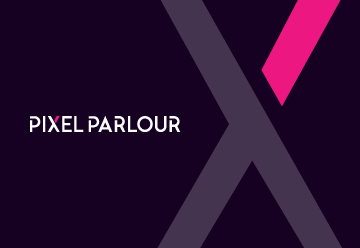 The typography has a more modern edge and the colour palette has softened to create an identity that is immediately recognisable, but moves the branding forward. The most effective websites are those which are maintained and developed over time based on feedback from customers and performance monitoring. With this redesign we have created a solid but flexible foundation for future development that allows us to move quickly to implement or test new ideas. 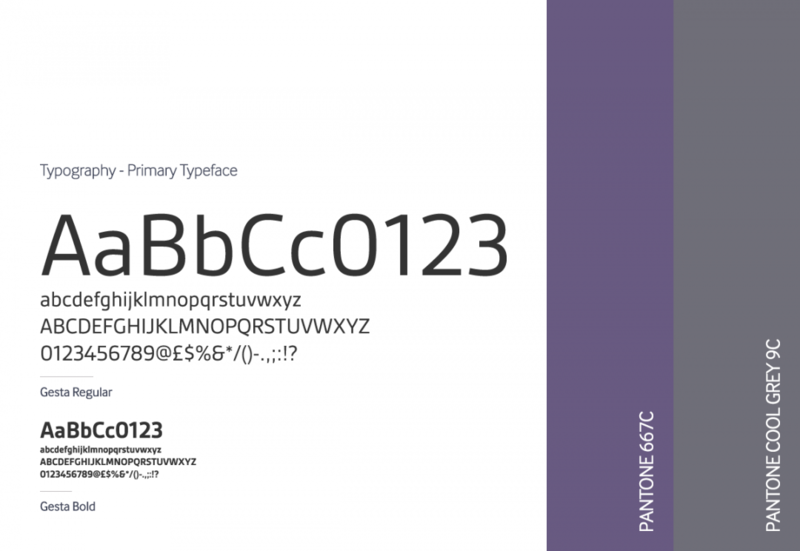 The Style Guide and accompanying Pattern Library give us a way in which both these new developments and day to day content publishing can move forward in a way that remains consistent with the original design.